All the attention will be on four amazing alums at the Award Ceremony on Friday, Sept. 21 in the High School Gym beginning at 2:15 pm. Reception from 3:30-5 in Commons. Join us at the Alumni Reception tent at the Football Field from approx 6pm until after the game. 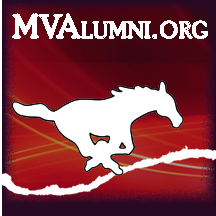 Enjoy visiting, seeing memorabilia, have some hot chocolate, get your 2012 Alumni Homecoming pin, Homecoming Alumni-water bottle, AND meet and greet this year's Alumni Hall of Fame winners!! !